Browse, check out, and read 59 different magazines in your browser, or, download them to your mobile app. Once you check out a magazine you may keep it as long as you wish. 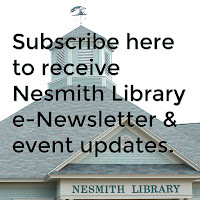 To get started, you will need a valid Nesmith Library borrower card. Click on the graphic above, or visit our website to get started. 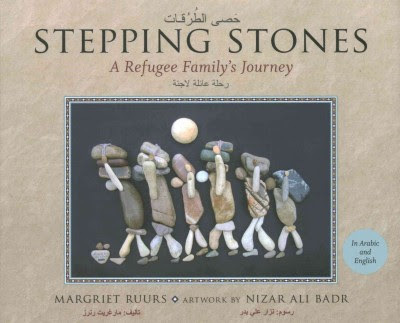 It illustrates the plight of a Syrian family escaping from the turmoil of their home country. It is presented in both English and Arabic languages. The illustrations are created with stones. This book would make a great classroom discussion starter for teachers at all levels. Art teachers can use it to show artists using non-traditional materials to express themselves. I think it could be a great visual lesson in metaphor, too. 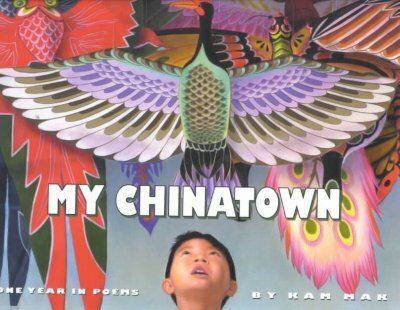 Poetry Friday--It's the Lunar New Year! Tomorrow, January 28, is the lunar New Year, also known as Chinese New Year in the United States. 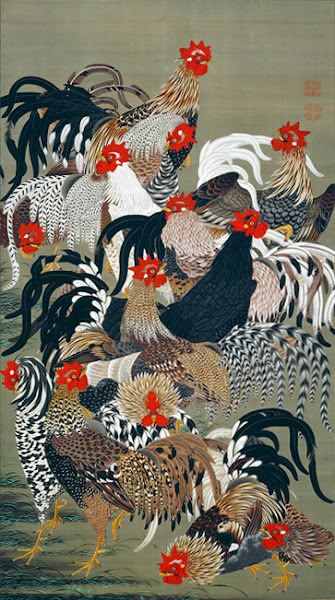 In China, the lunar New Year, also ushers in spring and thus is the Spring Festival, too. To learn more about the New Year, click here. Each year is also associated with a particular animal from the Chinese zodiac. 2017 is the Year of the Rooster--the "Fire Rooster" to be exact! Mama says it will be just like home. to scare off every evil spirit in the world. to kick through drifts of red paper. a snowfall the color of luck. It must be someone else's luck this year. Don't you love the line, "a snowfall the color of luck"? Here's wishing you a snowfall of luck in the coming year! Carol at Beyond LiteracyLink is hosting the Round-Up this year. Stop by and wish her a Happy New Year! Tonight, at 7:00, there will be a presentation by author Jay Atkinson here at the Library. 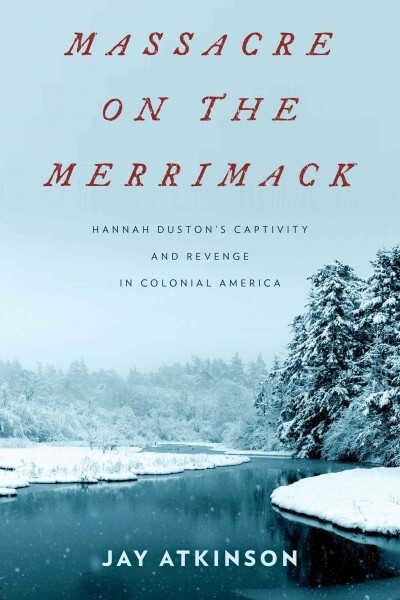 Atkinson’s book Massacre on the Merrimack: Hannah Duston’s Captivity and Revenge in Colonial America [973.25 ATK, also eBook] has been named as an Honors Book in the 2016 Massachusetts Book Award Program in the nonfiction category. The Windham Historic District Commission is sponsoring the event. New Hampshire's students study the history of our fair state, and the story of Hannah Duston is one that captures the imagination of the children. For girls, it presents an especially vivid reminder that women can overcome adversity by their wits and strength. The legendary story, however, is not without its controversial aspects. For those not familiar with Duston's story, here it is in a nutshell: In 1697, Hannah Duston a resident of Haverhill, MA, was taken captive by Abenaki First Nations peoples from Québec. She and her newborn daughter were held capture on an island in the Merrimack river near Boscawen, NH. She killed, and scalped, ten of her captors with the help of two fellow captives. There are public statues of Hannah Duston in both Haverhill, MA and Boscawen, NH. The Rescued Film Project is saving film to preserve moments people thought were worth preserving. Old photographs show us life as it was lived in earlier times. They may reveal a world that we are seeing or learning about for the first time. Take a look at the photos in any one of these three books and find out what you didn't know! Yesterday, at the American Library Association winter conference held in Atlanta, the winners of this year's youth awards were announced. 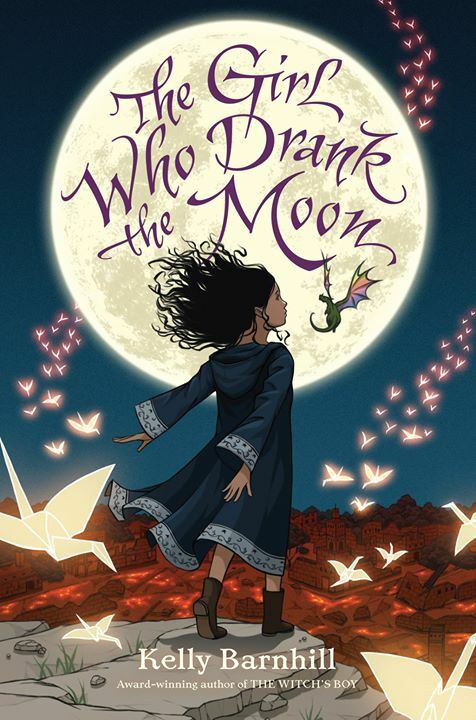 The winner of the John Newbery Medal "for the most outstanding contribution to children's literature" is The Girl Who Drank the Moon by Kelly Barnhill [J BAR]. The winner of the Randolph Caldecott Medal "for the most distinguished American picture book for children" is Radiant: The Story of Young Artist Jean-Michel Basquiat illustrated and written by Javaka Steptoe [on order]. 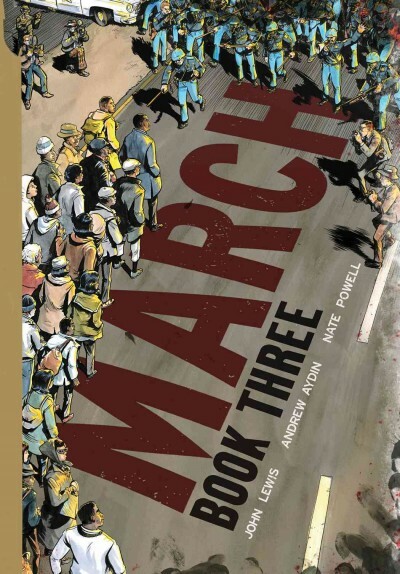 The Coretta Scott King Book Award "recognizing an African-American author and illustrator of outstanding books for children and young adults" goes to John Lewis and Andrew Aydin, authors, and Nate Powell, illustrator for March: Book Three [YA CX LEW]. The Michael L. Printz Award "for excellence in literature written for young adults," was also awarded to March: Book Three. Theodor Seuss Geisel Award "for the most distinguished beginning reader book" goes to We Are Growing! by Laurie Keller [E KEL]. For a complete list of all the award winners and honor books, click here. If you saw any of the photos from this past Saturday's women's marches, you surely would have noticed the pink hats with pointy ears. 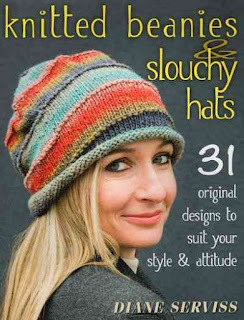 These hats were all made by hand. Poetry Friday--"Turner to His Critic"
Have you seen the 2015 movie Mr. Turner [DVD MR] about the English painter J. M. W. (Joseph Mallord William) Turner who led a rather eccentric life? If you recall, in the film there's a scene where Turner has himself tied to the mast of a ship so that he can experience, first hand, the effects of a storm. 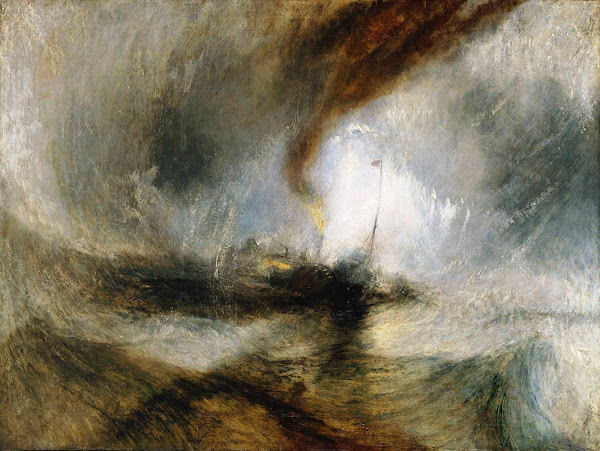 As a result, Turner painted "Snow Storm - Steam-Boat off a Harbour's Mouth Making Signals in Shallow Water, and Going by the Lead." The painting above is also found in Side by Side: New Poems Inspired by Art from Around the World, edited by Jan Greenberg [808.81 SID]. The poem, "Turner to His Critic," by Grace Nichols, is written in the voice of the painter in response to one of the many critics of his work. Man, don't make me livid. To the mast of a ship. Do you have the foggiest of it? Do you know what it is to be buffeted? That this work is a masterpiece. Soap-sudded to the bottom of the sea. Turner was nothing if not passionate about his painting, and, his critics. If you're not familiar with his work, please visit The Athenaeum where you'll find more than a thousand paintings and drawings. 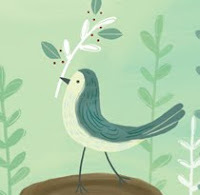 Visit Violet Nesdoly/Poems for the Poetry Friday Round-Up. Sometimes, you need to block out unwanted noise--like when you're staying at a hotel and you can't get to sleep. There are some pretty effective sound machines now available, which sounds counter-intuitive since you're creating noise to block out noise. These machines provide white noise and/or ambient noise, that is, noises that generally peaceful and relaxing. Steadily falling rain and waves crashing on shore are two examples. But, do you really want to pack something else in your overnight bag? If you have a smart phone, you can download an app which provides relaxing noise. Or, you can go to a website like Ambient-Mixer.com and sample sounds to your heart's content. For sleeping you may find exactly what you need in the category titled, "All sort of weather atmospheres." Try "Dreaming Rain" on for size! 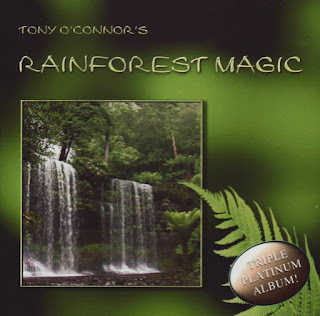 You can also come to the Library to borrow Rainforest Magic a CD of ambient sounds, one of which is "Summer Rain" [CD MISCELLANEOUS RAI]. If you, or someone you know, is preparing for U.S. citizenship, we recently added a kit of citizenship preparation materials to our collection: Civics and Citizenship Toolkit: A Collection of Educational Resource for Immigrants [KIT 323.62 CIV 2016]. The kit was prepared by U.S. Citizenship and Immigration Services. Visit the website, www.uscis.gov for more information and additional resources. I've posted many times about our collection of yoga books and DVDs. Today I'd like to remind you that yoga is everyone. From young to old, everyone can benefit from this centuries-old form of exercise. Need an activity to do with the kids? Check out this article on "6 Yoga Moves You Can Do Together." January is National Hot Tea Month, and yesterday was National Hot Tea Day! In my book, every day is hot tea day, so I'm taking the liberty of celebrating today. 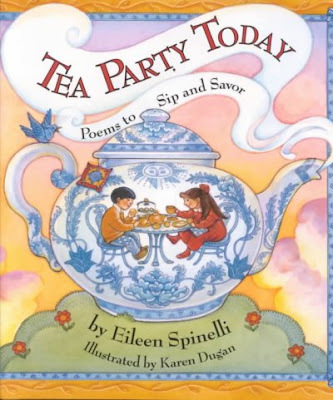 Here's a short poem by Eileen Spinelli from Tea Party Today: Poems to Sip and Savor [J 811 SPI]. The day is good enough to eat. This is a great poem for teachers to use in teaching metaphor, don't you think? Head over to visit my friend Keri at Keri Recommends. She's hosting the Poetry Friday Round-Up, and, I wouldn't be surprised if she has a pot of tea brewing. Be sure to ask for some honey in that tea! 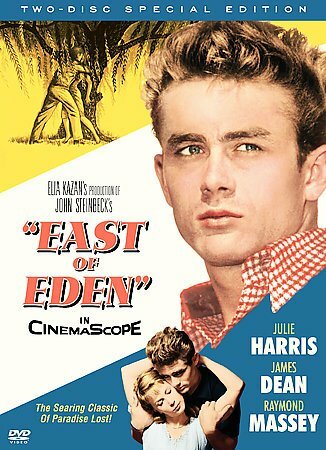 "The National Film Registry selects 25 films each year showcasing the range and diversity of American film heritage to increase awareness for its preservation." As I mentioned in yesterday's post, the Sesame Street character, Alistair Cookie, was based on the original host of "Masterpiece Theatre," Alistair Cooke. Alistair Cookie was not the first, and is certainly not the last character based on a real person. Do you remember Meryl Sheep? Here, the Muppet character is playing against the in-the-flesh actress, Susan Sarandon! If you enjoyed the two clips above, you're sure to like the two DVDs full of Sesame Street parodies, titled The Best of Sesame Spoofs, volumes 1 and 2 [J DVD SES]. Most of the people and things being parodied should be familiar, but some may have slipped away from memory, like Hill Street Blues, the 1980s police series upon which Sesame Street's "Hill Street Twos" is based. Others are quickly fading, like the reality stars, Jon and Kate Gosselin, parodied in "Jon and Kate Count to 8." The first episode of PBS's "Masterpiece Theatre" aired on this date in 1971. 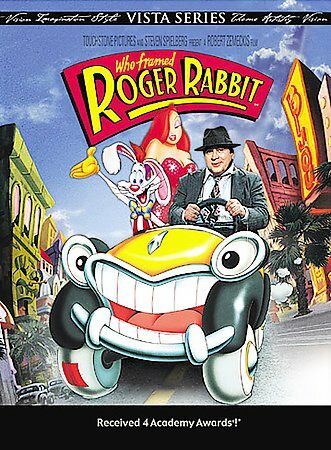 The first series to air was The First Churchills and it was followed by many others that gained huge viewer followings. Probably the most remembered of the earlier offerings is Upstairs Downstairs [DVD TV SERIES UPS]. 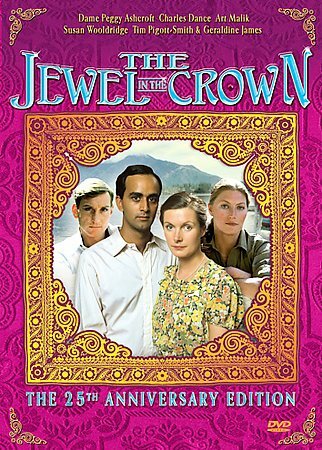 Poldark [DVD POL] and The Jewel in the Crown [DVD JEW] also enjoyed great popularity. 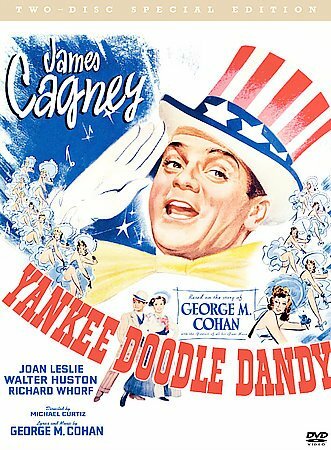 Recent "Masterpiece" hits are Downton Abbey [DVD TV SERIES DOW], and a remake of the early hit, Poldark [DVD TV SERIES POL], the third year of which is currently in production! Beginning next Sunday is Victoria, which explores the life of the long-reigning British monarch, Queen Victoria. PBS has created a page offering, "everything you'll need to know before watching Victoria. Click here. You may remember the very proper, Alistair Cooke, who hosted "Masterpiece Theatre" for many years at its beginning. He was so well-known for his part as host that "Alistair Cookie," a Sesame Street Muppet character was created! The show he hosted? "Monsterpiece Theater"! On January 9, 1928, novelist Judith Tarcher Krantz was born in New York City. She attended Wellesley College and was a classmate of Barbara Walters (who eventually introduced "Judy" to her husband Steve Krantz). After graduating from college she wrote for various magazines before publishing her first novel, Scruples [F KRA], in 1978. 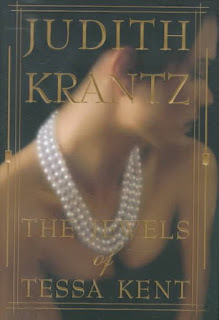 Krantz's last novel, The Jewels of Tessa Kent [F KRA], was published twenty years later. In total she wrote ten novels and five of them were adapted into television miniseries. Happy 89th Birthday, Judith Krantz! The weather has turned really cold again after that brief time of warmth and snow melting earlier in the week. 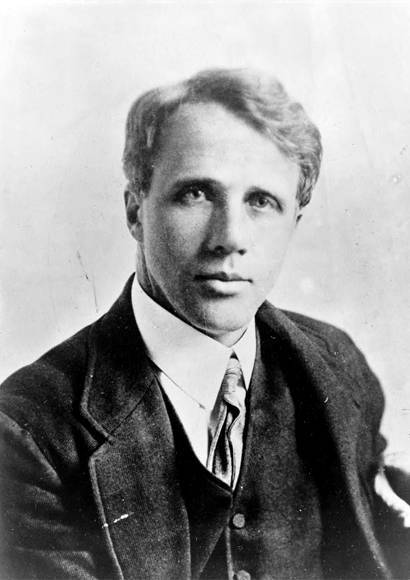 The cold on Thursday night put me in mind of a poem by the poet who lived on a farm up the road in Derry, Robert Frost. From North of Boston, published 102 years ago, and on our shelf under 811 FRO. Linda at Teacher Dance is hosting the Poetry Friday Round-Up. Do stop by! Between Nesmith Library's collection of DVDs, and those of the other 11 GMILCS libraries, you can get an education in the history of film from The Lumière Brothers' First Films [DVD 791.43 LUM] right through to last year's Academy Award for Best Picture, Spotlight [DVD SPO]. The 2017 Academy Award winners will be announced on Sunday, February 26, and you can bet the major award winners will find their way into our collection, if they're not already there. There's a musical for everyone! Yesterday, the weather wasn't fit for man nor beast. Not even a duck would have liked that rain. It was the kind of weather that make you long for a nice, hot, bowl of homemade soup. Soup is one of those things that can be made without a recipe if you have a freezer full of leftover holiday turkey. Add some chicken stock, a few carrots, an onion, and some barley or rice and you're done! Bender, Jonathan. 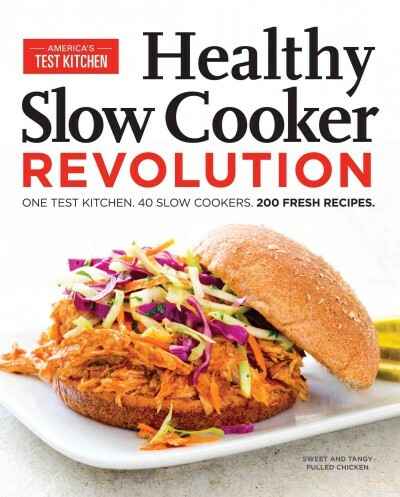 Stock, Broth & Bowl: Recipes for Cooking, Drinking & Nourishing. Davidson, Diane Mott. 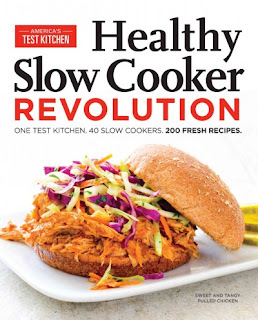 Goldy's Kitchen Cookbook: Cooking, Writing, Family, Life. Drummond, Ree. The Pioneer Woman Cooks Dinnertime: Comfort Classics, Freezer Food, 16-Minute Meals, and Other Delicious Ways to Solve Supper! Sweeney, Monica. Best Dollar Saving Dinners: Cheap and Easy Meals that Taste Great. It's now the new year, and many resolve to do things differently in 2017, for example, eat more vegetables or get more exercise. Some even go so far as to embark on the latest celebrity-promoted diet. Might I suggest that you follow the Nesmith Library Chocolate Diet instead? 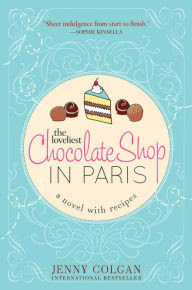 Not a diet of chocolate food, but a READING diet of chocolate-themed books! Yes, there are such things! And they're not just for kids! There's no deprivation involved and there are no hidden costs. All you need is your library card! We have chocolate treats for everyone!